Serving as the backbone of the Marksmen DLC are the seven new weapons. Among these are five marksman rifles, namely the Cyrus 9.3 mm, MAR-10 .338, Mk-I EMR 7.62 mm, Mk14 7.62 mm, and ASP-1 Kir. The other two weapons are the SPMG .338 and Navid 9.3 mmmedium machine guns. The weapons will be complemented by the AMS and Kahlia medium range scopes. 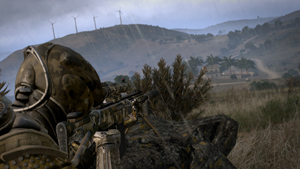 There will also be new ghillie suits for the NATO, CSAT, and AAF factions to provide camouflage for various terrain types. 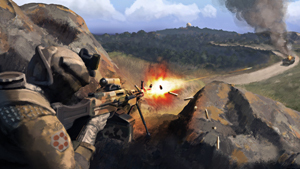 Furthermore, the Marksmen DLC will add two Remote Designators, which can be used to spot and laser designate targets from afar. 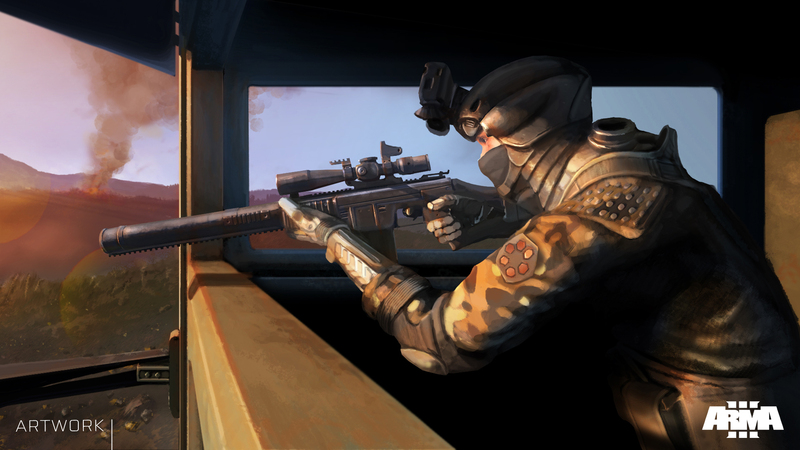 Those who want to hone their shooting skills can pay a visit to the shooting range for brand new firing drills, or go on a reconnaissance mission in the Marksmenshowcase scenario. 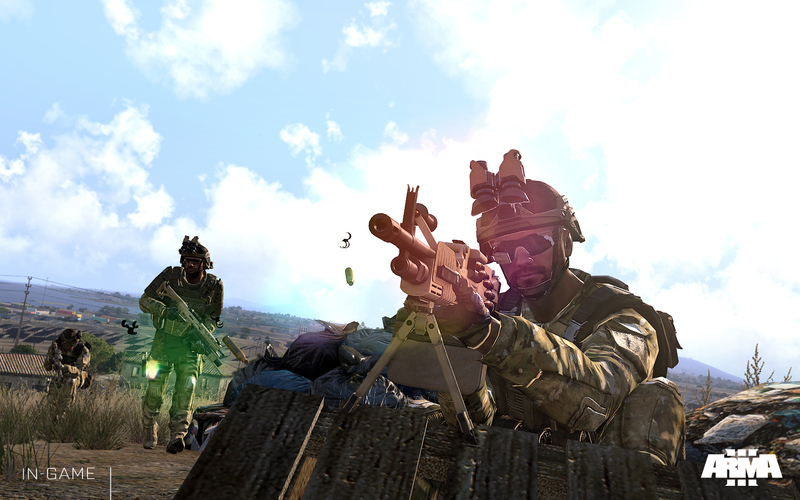 With regards to platform features, the upcoming Arma 3 update will introduce weapon resting and weapon deployment – which have been on the list of most requested features by the Arma 3 community. 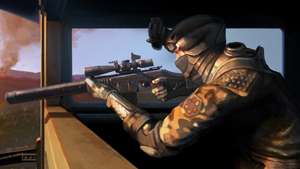 Weapon resting means that players will benefit from an accuracy bonus whenever they are near a stable surface, while weapon deployment will enable players to use bipods for a more steady shot. 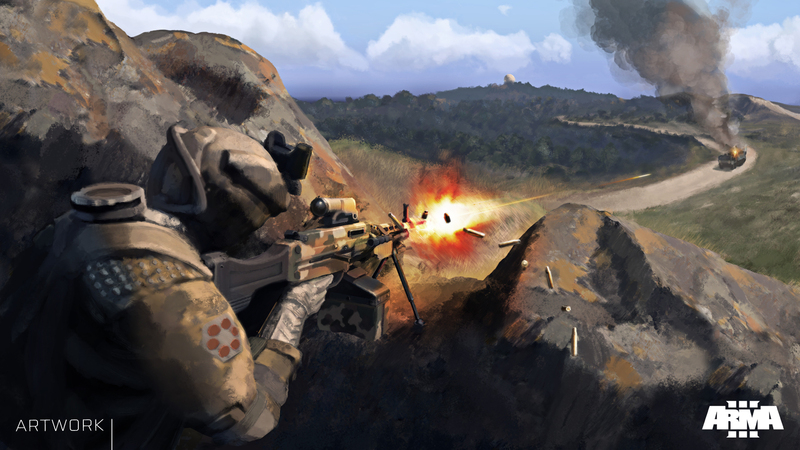 Together with improvements made to the simulation of recoil, and improvements to enemy AI suppression, this should provide a more tactical, intuitive, and rich experience to the players of Arma 3. Finally, the new platform update will make significant upgrades to sound by adding more sound samples and new sound technology. These improvements should enhance the immersion and contribute to gameplay by providing players with a better situational awareness. 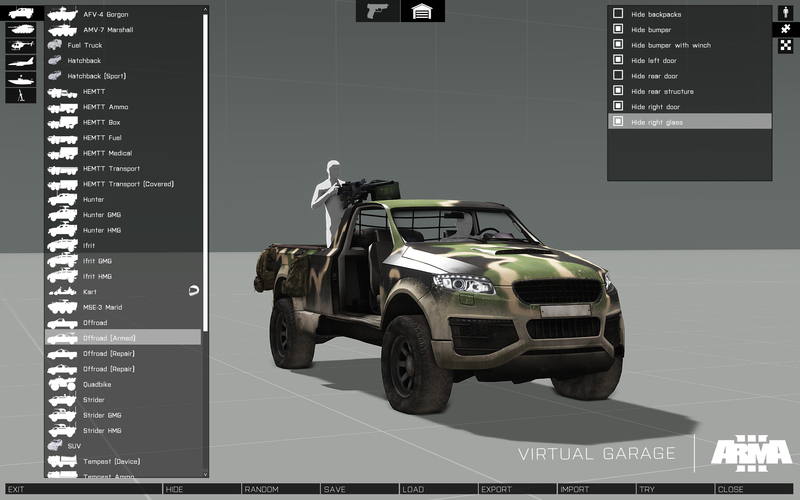 To round out the Marksmen DLC package and the supporting platform update, Bohemia Interactive will be expanding Arma 3’s existing Virtual Arsenal feature with Virtual Garage. 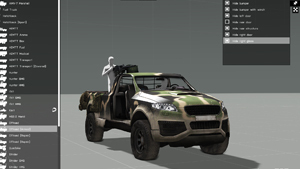 This means players will not only be able to preview soldiers, weapons, and gear, and create custom loadouts for their characters, but also examine and customize the extensive collection of vehicles in Arma 3. 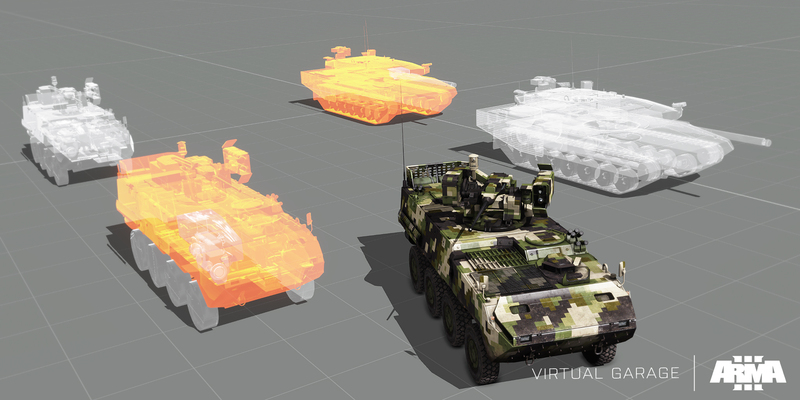 In addition, the new update will open up Virtual Arsenal so that people will be able to try out all of Arma 3’s premium weapons, vehicles, and other DLC content, without restrictions – even if they do not own the DLC. 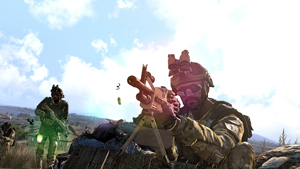 A more in-depth explanation of Bohemia Interactive’s approach to DLC for Arma 3, and how it prevents a split in the game’s multiplayer community between those who own DLC and those who do not, can be found in the studio’s previously released blog. 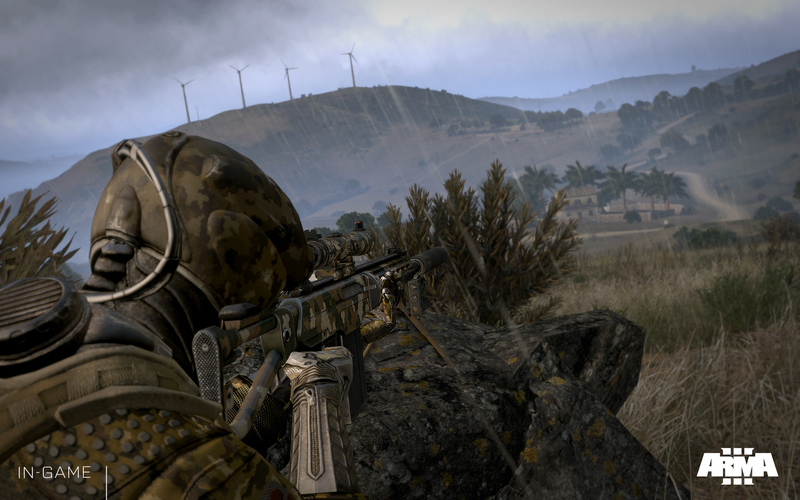 The Arma 3 Marksmen DLC will be available from April 8th for 12.99 EUR/10.99 GBP/15.99 USD on Steam and Store.bistudio.com. 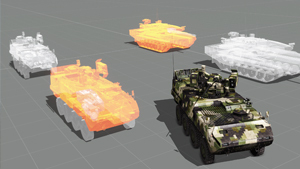 People can already purchase the Arma 3 DLC Bundle, which includes the Arma 3 Karts, Arma 3 Helicopters, and the upcoming Marksmen DLC, for 19.99 EUR/16.99 GBP/24.99 USD – saving them more than 25% over buying the DLC packs separately. This entry was posted on Monday, April 13th, 2015 at 12:06 pm and is filed under Uncategorized. You can follow any responses to this entry through the RSS 2.0 feed. Both comments and pings are currently closed.